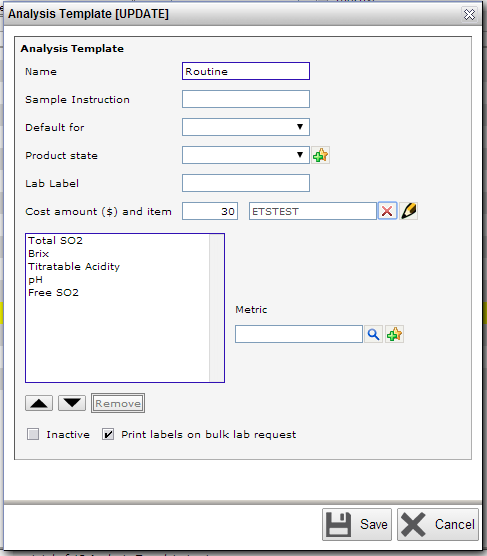 vintrace allows you to track lab costs by configuring a custom cost item and then associating that to an Analysis Template. This requires you to have a known fixed cost that you can apply to an Analysis Template (panel of tests). If you need to add more specific lab costs please click here for the section of the guide relating to making ad-hoc cost adjustments. 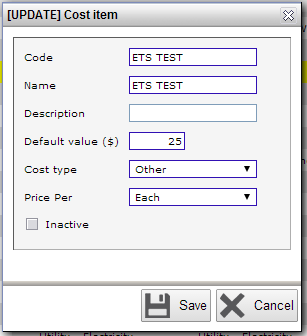 To configure a cost item go to Winery Setup – Costing – Cost items. You can configure this item with a default price and also link it to an appropriate cost category. Importantly set the Price per field to be Each. Next link the cost item to the appropriate Analysis Template(s) in Winery Setup – Production – Analysis Template. Notice you can override the default cost amount by setting it specifically in the Cost amount ($) field. Be sure to select the appropriate cost item. Each time this template is now used as part of a lab job the cost will transfer to the wine automatically.